Calgon Carbon offers a variety of CalRes media ranging from ion exchange resins, unique carbons, silica gels, alumina oxide, and zeolites. Our experience and knowledge of purification technology allow for us to rigorously control quality and consistency, offering our customers tremendous value. 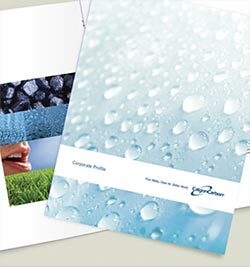 Calgon Carbon offers a range of proprietary media under the CalRes brand. Our media is commonly used to remove inorganic contaminants such as nitrate, perchlorate, hexavalent chrome and selenium. CalRes media is also used in a variety of other specialty applications, such as POU filters, catalytic applications and pharmaceutical applications. Used by municipalities around the world to removal harmful contaminants and to provide safe, clean drinking water. Used in a variety of applications for purification and recovery. Calgon Carbon’s activated carbon and ion exchange media are used in many point-of-use and point-of-entry systems to provide consumers with clean, safe drinking water. Used in a variety of applications for separation, purification recovery, and synthesis. Calgon Carbon CalRes product line is produced with high quality raw materials. The quality is rigorously analyzed to ensure the product performance exceeds the customer’s expectations. The CalRes media has high capacity, excellent mechanical stability and is optimized to ensure acceptable pressure drop.